*NOTE to Above Registration Block. You must choose each option and add to the cart individually by using the “continue shopping” option. General Information – This summary is intended to serve as an adjunct to the Annual Meeting registration form you have received in the mail or that is available here on the website. Unless otherwise noted in the descriptions below, all workshops and lectures will be held at the Westford Inn and Conference Center at 219 Littleton Road, Westford, MA, 01886. A fee will be charged for each of the workshops you chose to attend, but the lectures and the Starrett Tour are free to all EAIA members registered for the EAIA’s 2019 Annual Meeting. Workshops are limited to a specific number of participants. Please make sure you don’t register for any workshops, lectures, or tours that are running concurrently. The workshops, lectures, and tours listed below are presented in the order they are listed on the registration form. L.S. Starrett Factory and Museum Tour in Athol, Massachusetts, Friday May 17th, 8:45 AM- Noon – organized by Rodney Richer Jr. For those of you with any interest in machine tools, this tour is a must. You will enjoy a guided tour of the Starrett Factory and the museum contained in the factory. Participants will car pool to Athol from the Westford Regency Inn & Conference Center to Athol (travel distance is approximately 46 miles and will take about 1 hour). The tour itself will last approximately 90 minutes. You will be back in time for lunch. There is a retail shop at the factory. There is no fee and this activity is open to all meeting registrants. American Woodworking Planes, Lecture and Discussion, Friday May 17th, 8:45-10:15 AM – led by EAIA Members Tom Elliott and Pat Lasswell. Tom and Pat are both regular contributors to the “Plane Chatter” column in The Chronicle and past presidents of EAIA. Tom is also the author of the fifth edition of A Guide to the Makers of American Wooden Planes. Pat and Tom will teach you about the characteristics of early American planes, discuss their makers and bring examples for you to examine. If you have some American wooden planes you want to know more about or just want to share with the group, bring them along to this entertaining and educational session. There is no fee and this activity is open to all meeting registrants. Blacksmithing Workshop I, Friday May 17th, 9:00-10:30 AM at the Moses Wilder Blacksmith Shop (MWBS) in Bolton, MA. Organized by EAIA member Bob Roemer. Participants will carpool to/from Bolton (15 mi. & 16 min from Regency Hotel on Rt. 495 & Rt. 117- maps will be provided.) The workshop will include a demonstration at one forge in MWBS for approximately 15-20 minutes, followed by a “First Time at Forge” at multiple forges: 2 in MWBS and 2 stations (portable forge, post vise, anvil) outside. You get to make a wall hook, beam hook or an S-hook. There will be several blacksmiths there to help you with your project. This workshop is limited to 15 participants and there is a $25 fee for this workshop. 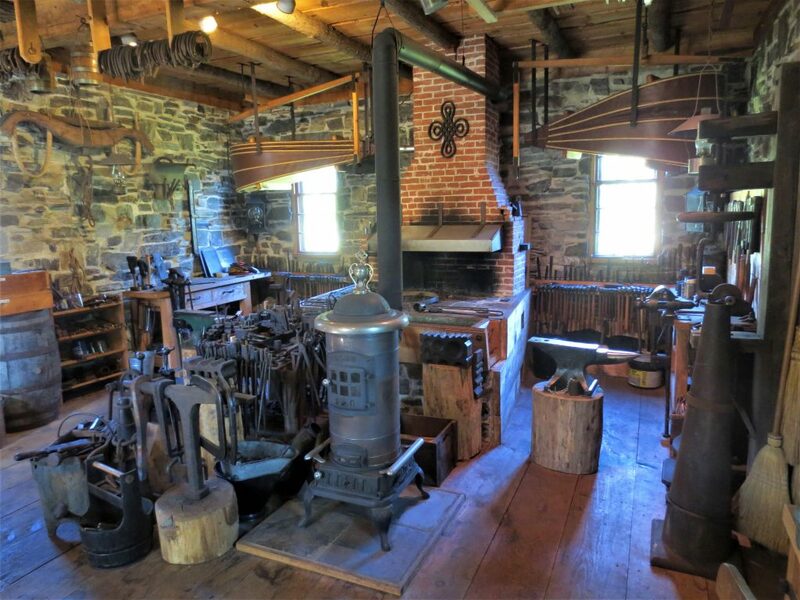 Blacksmithing Workshop II, Friday May 17th, 11:00 AM-12:30 PM at the Moses Wilder Blacksmith Shop (MWBS) in Bolton, MA. Organized by EAIA member Bob Roemer. Participants will carpool to/from Bolton (15 mi. & 16 min from Regency Hotel on Rt. 495 & Rt. 117- maps will be provided.) The workshop will include a demonstration at one forge in MWBS for approximately 15-20 minutes, followed by a “First Time at Forge” at multiple forges: 2 in MWBS and 2 stations (portable forge, post vise, anvil) outside. You get to make a wall hook, beam hook or an S-hook. There will be several blacksmiths there to help you with your project. This workshop is limited to 15 participants and there is a $25 fee for this workshop. 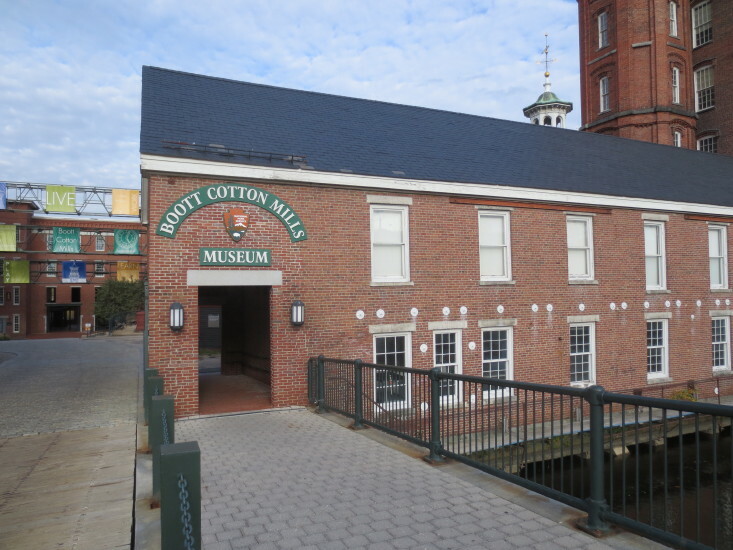 Civil War Quilts Lecture, Friday May 17th, 8:45-10:AM presented by Pam Weeks the curator of the New England Quilt Museum, and a new EAIA member. Quilts made for use by soldiers during the Civil War are very rare—only seventeen are known (so far) to exist, and Pam has studied most of them in person. Her lecture will outline the origins of the United States. Sanitary Commission at the beginning of the War; the roles women played on the home front, and the battlefield; and feature the stories of fourteen actual Civil War soldiers’ quilts. Pam will have one of the rare original Civil War quilts at the lecture. This lecture is free and open to all meeting registrants. Learn to Weave on a Simple Tape Loom, Friday May 17th, 10:15 AM-12:15 PM led by Pam Howard, Master Weaver at the John Campbell Folk School, EAIA member and EAIA board member. This class will introduce students to weaving on a simple two harness tape loom. Everything will be provided, tape loom, shuttle and yarns. 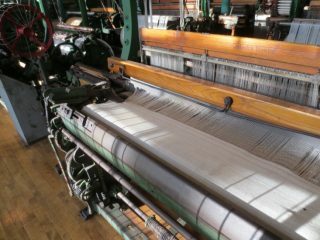 This class is a group effort among EAIA members to supply the equipment, yarns and instructions than after the class you will be able to take your loom, shuttle and finished woven band home. No weaving experience is needed. This workshop is limited to 20 participants and there is a $40 fee for this workshop. Stone Tool Technology Workshop- Friday May 17th, 1:00-4:00 PM led by George Lott. George is an EAIA member. George started flint knapping in 2003 after participating in a one-week seminar with Dr. Errett Calahan, a world-renowned primitive technologist from Lynchburg, VA. In addition to working stone, George is a furniture maker for the Frontier Culture Museum in Staunton, Virginia. Participants will learn about the tools and materials used to create the earliest tools known to mankind and try their hand at flintknapping. In addition, there will be a display of early stone tools from the Robert S. Peabody Institute of Archeology at the Phillips Academy in Andover, MA. All meeting registrants are encouraged to stop in a see this display. The workshop is limited to 6 participants, and there is a $10 fee for this workshop. Participants should bring a pair of leather gloves and safety glasses. Lucey Locket’s Pocket Workshop. Friday May 17th, 1:15-3:15 PM led by Mary Harrington a new EAIA member. Mary has taught embroidery for over thirty years as a member of the Embroiderers’ guild of America. She has organized and participated in several needlework seminars and exhibits and enjoys being part of the fiber arts world. This doll size replica of a woman’s pocket will include an introduction to cross stitch on 16 count cork linen. A short history of the pocket’s use will be presented. All the materials and instructions to complete the project are included in the kit. Please bring small scissors. A task light and magnifier may be helpful. This workshop is limited to 20 participants and there is a fee of $20 for this workshop. 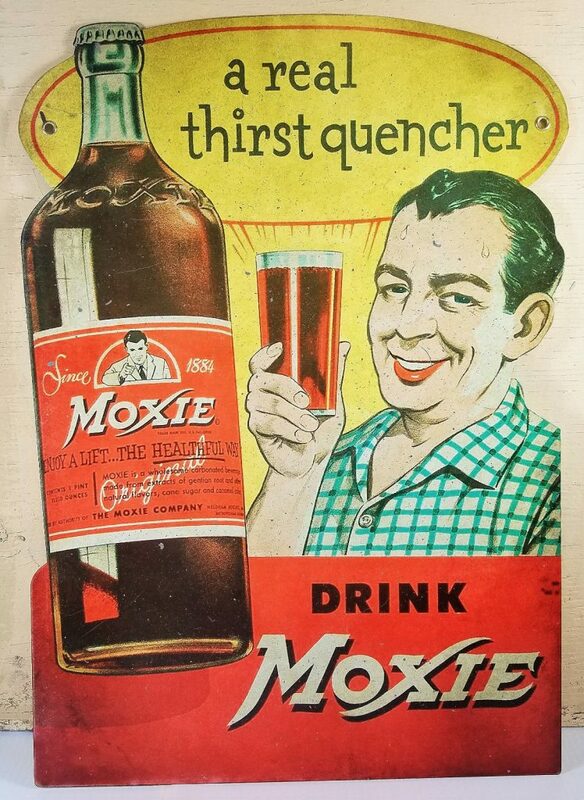 Early American Cider Making Lecture Friday May 17th, 1:15-2:30 PM presentation by Tom Kelleher, Historian & Curator of Mechanical Arts, Old Sturbridge Village. Tom has worked at Old Sturbridge Village for more than 30 years in a variety of positions, from a costumed interpreter to his current role as historian and curator of mechanical arts. Tom is past-president of the international Association for Living History, Farm and Agricultural Museums (ALHFAM), and a long-time member of the Society for the Preservation of Old Mills, the Early American Industries Association, and the New England Museum Association. In 1821, Yale President Timothy Dwight observed “Apples abound more in New England than in any other country. Cider is the common drink of all its inhabitants, the rich and poor alike”. Tom will discuss this very important element of early America agricultural, including the processes and tools used as well as the market for both cider and hard cider. This lecture is free and open to all meeting participants. A Boston Dressing Table: Discovering Its Hidden Proportions Lecture Friday May 17th, 10:30 AM-Noon presentation by Steven Brown. Steve is a graduate of the North Bennet St. School Cabinet and Furniture making program and has taught in the full-time program for the past 20 years. His work has been shown in galleries, museums and private collections. He has authored numerous articles for Fine Woodworking and has worked as an advisor to the Rough Cut show on WGBH in Boston and appeared in a number of the episodes as a guest. This lecture focuses on the design ideas and woodworking techniques used to create the dressing table built by Benjamin Frothingham from Charlestown, MA in the mid 1700’s. The table design appears to embody the ideas hinted at by Thomas Chippendale in his famous pattern book, The Gentleman and Cabinet Maker’s Director. The lecture will include a discussion of the building process Steve used for his reproduction of the original piece for exhibition at the Winterthur Museum. This lecture is free and open to all meeting participants. Recreating a Rotary Gridiron Lecture Friday May 17th 2:45-4:00PM presented by Derek Heidemann, Coordinator of Men’s Crafts, Old Sturbridge Village. For Derek, crafting and blacksmithing are a way of life. He began his career at Old Sturbridge Village with a Junior Internship while in high school. He has become an expert blacksmith, having practiced that trade since 2001, and has operated his own blacksmith business. He also later earned a B.A. and Master’s in History from Clark University. He was recently appointed an adjunct professor at Clark. Derek will trace the process of faithfully reproducing an early American rotary gridiron using traditional tools at a coal-fired forge. The subject of the reproduction is a gridiron, used for open fire roasting, which is from the Old Sturbridge Collection. This lecture is free and open to all meeting participants. How Sweet It Is-Clear Candy Molds & Manufacture Workshop Friday May 17th, 8:30 AM-11:00 Make Some Candy with EAIA member Heidi Campbell Shoaf. Heidi is the Museum Director/Chief Curator, of the DAR Museum in Washington, DC and holds an M.A. in History and Public History from Kent State University where her studies focused on 19th century American social history and women’s history. She is a peer reviewer for the American Alliance of Museums, the accrediting body for museums, and is the former mayor of Burkittsville, Maryland! This workshop will provide a brief history of the production of clear candy from its origins as a medicinal medium to the early 20th century candy industry. Participants will learn how clear candy is made and how to use molds to create clear toy candy, a type of clear candy popular in the 19th century and remained a regional treat into the 20th century. Please bring an apron. This workshop is limited to 20 participants and there will be a $15 fee for the workshop. Gilding in Book Binding Demonstration 10:45 AM-12:15 PM presented by Jeff Altepeter. The decoration of hand bound books is done with heated brass tools. This demonstration will illustrate some techniques of “finishing” including gold and blind tooling. Jeff is the head of the bookbinding department at the North Bennett Street School in Boston. He will use antique bookbinding tools that were recently donated to the North Bennett Street School was recently given a huge collection of almost 2000 19th century book binder’s hand tools and brasses from a historically important book bindery here in the United States that was called the Club Bindery. In the 1890s, members of the Grolier Club in New York, lamenting the dearth of fine binding in America, established the Club Bindery in an attempt to make available luxury bookbindings that could rival those of Europe. Several European-trained binders were brought to New York to begin work in 1895. In 1897, Grolier Club member Robert Hoe was instrumental in bringing Leon Maillard to the bindery from France. The temperamental Maillard turned his exceptional finishing skills to the production of wonderful and expensive bindings for Hoe and other collectors. The Club Bindery was dissolved in 1909. Jeff will use some of these tools and will have several more on display during the demonstration. This demonstration is free and open to all meeting participants. Watch Where You Sit! A Period Furniture Upholstering Demonstration Friday May 17th, 1:15-3:15 PMpresented by Freddy Roman. Freddy will have a sample 1/2 upholstered frame for people to examine. He’ll also demonstrate on a period piece of furniture how the furniture is reupholstered using both old and new techniques. Freddy Roman apprenticed under master craftsmen Philip C. Lowe at the Furniture Institute of Massachusetts (FIM) in Beverly, MA. After graduating Freddy has worked for conservation studios and cabinet shops restoring furniture, making built-ins, kitchens, architectural elements, and reproducing museum quality furniture. Freddy has also continued to study in the field of period furniture, restoration, and conservation from today’s masters. In 2007 Freddy opened a furniture making and restoration studio located in Acton, MA. Freddy is currently working for architects, contractors, private clients, institutions, and conservation studios. When Freddy isn’t working in the studio, he can be found educating the public, teaching and demonstrating across the United States. Freddy’s demonstration on veneering at Old Sturbridge Village in 2017 was a great hit, and we’re pleased to have Freddy back! This demonstration is free and open to all meeting participants. Drop In And Learn Fiber Arts! Friday May 17th, 10:AM-4:00PM. Led by Gwenn Lasswell, EAIA board member. Gwenn learned to crochet and embroider from her grandmother around the age of 7. Gwenn Florence Woods, Carol Culnan, and Sue Batcheller at the EAIA meeting in Albany, NY. They were demonstrating spinning and Florence had several of her beautiful antique wheels on display. I couldn’t stop watching them spin. Finally, Florence put me at a wheel and gave me a handful of fiber and said, “Spin.” I did and continued after I got home. I joined a guild that included spinners and weavers. A former guild member gifted me a beautiful floor loom and I taught myself how to weave. I have tried to expand my knowledge and skill in all three of these pursuits and added knitting along the way. At the EAIA meeting in Quebec, Pam Howard and Gwenn hatched the idea of a Fiber Interest Group within EAIA. And here we are! So, bring your knitting needles, crochet hooks, your drop spindle, and any other fiber arts equipment you want. Drop in and try your hand at weaving, crocheting, knitting, fiber preparation or share your skills with the rest of us. Also, we want to see what you’ve produced with your fiber arts skills. Bring your projects either completed or not and share them with the rest of us. This activity is open to all meeting registrants and there is no fee. Want to learn more about the meeting? 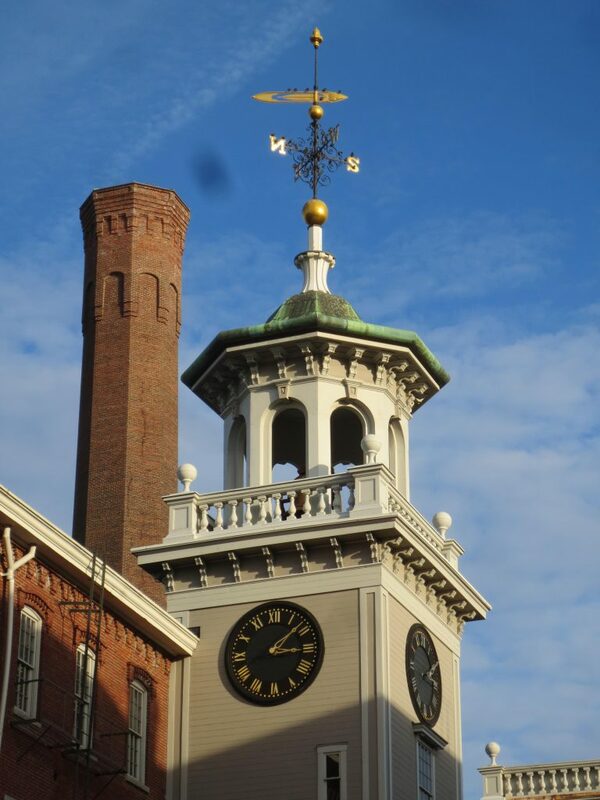 You can learn more about Lowell Massachusetts and our meeting here. You can also learn more about the annual meeting from an earlier blog post here.